There seems to be a trend occurring right before our eyes, with multiple Android OEMs looking to incorporate a top notch on the frontside of their devices, you know, similar to the one on the iPhone X. We’re not talking about Essential Phone’s little widow’s peak, but a full blown notch that dips right into a large portion of the display. When the iPhone X was first unveiled, I lol’d just like any other person. However, as the weeks and months have gone by, I find myself oddly attracted to this notch. Now that we’ve gotten a peek at the LG G7 “Neo,” I can proudly admit that I dig the notch. While I can’t quite put my finger on why I’m attracted to a notch digging into my display, I can articulate that I’m drawn to the idea of having dedicated portions of the display for notifications, the clock, battery icon, and cell/wifi signal icons. It seems very clean to me, and being a rather detail-oriented individual, I appreciate the symmetry. As Kellen and I have both stated, the Essential Phone’s notch came first in the timeline of modern smartphone notches, and both having used that device, we can attest that you simply get used to it being there. It doesn’t really affect how you use the phone, and if anything, it adds a certain flair to the design. 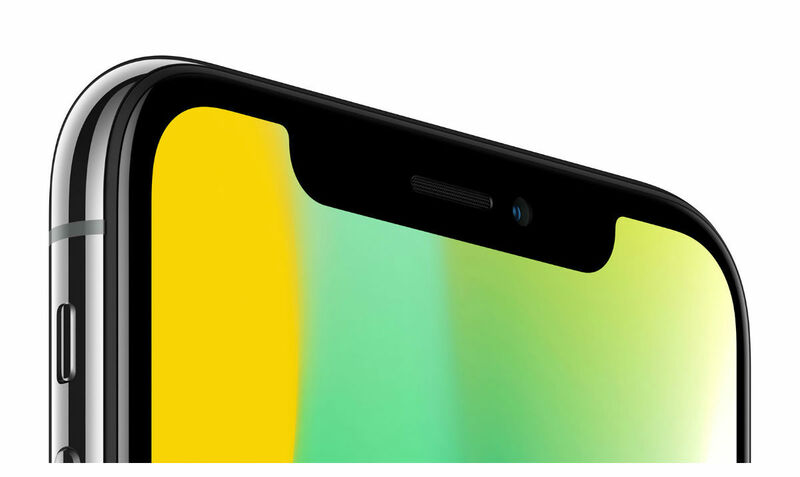 I understand how others feel about the notch, though. It does indeed dig into the display a bit, but obviously, it’s necessary when OEMs are trying to pack a device’s front with sensors and cameras while also keeping bezels minimal. This argument has to standalone from the belief that many Android OEMs are just copying Apple, though. I don’t think anyone sees it as a mere coincidence that Apple releases the iPhone X, then a string of Android phone makers have phones with the exact same design. I, too, believe that Android and Android OEMs were really starting to break away from Apple in terms of features and designs, but alas, they appear to be falling victim to the Monkey See, Monkey Do idiom again. For example, Apple removes the headphone jack, then essentially all Android OEMs remove the headphone jack. Apple releases a certain feature, such as Animoji, then every Android OEM has to create their own version. What really chaps me is that Android OEMs are more focused on copying dumb things like that and not copying what makes iOS a superior mobile OS in some ways (cough timely software updates cough). That’s a topic we’ve talked about many times already, though. This also leads me to a somewhat funny observation, that Samsung of all companies is the only major Android OEM not giving into these trends. Years ago, we would put money on Samsung being the first to incorporate such things following Apple, but with the Galaxy S9 now official, we can confirm that it still has a headphone jack and doesn’t have a notch. As someone who has been involved in Android for so long, and has seen Samsung’s attempts at copying certain things, it almost feels like an episode of The Twilight Zone. Something to keep in mind, it’s not as if the notch will be around forever. From what we can tell, OEMs are attempting to deliver a more immersive viewing experience on phones, meaning they need to trim down the bezels. That leads to the dip into the display for housing of sensors and cameras. This will be something all OEMs will want to solve. How do you go about putting those sensors in smaller areas so there are no notches and still small bezels? We could see more manufacturers take the recently shown off Vivo approach, which is incorporating a pop-up mechanism for the front-facing camera. It allows there to not be a notch and still have an insanely small amount of bezel. While it seems like a backwards way of going about hardware design, where you’re creating a new problem to solve by attempting to solve a previous issue, I think this entire road will lead to a design we have yet to see, but will be truly innovative. We just need a little patience and hope. My original point, and I still stand by this, is the notch is growing on me and I don’t care if you make fun of me. Do I think it’s ridiculous what a blatant ripoff it is of the iPhone X? Yes, but dang it, that doesn’t take away from the fact that I like the look of it. Thursday Poll: Are You a Fan of the Top Notch Design?